After several months of waiting (which felt like forever! 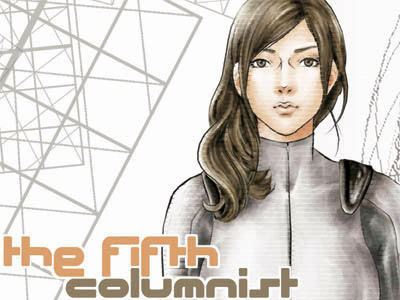 ), the release of Fifth 1 in the Indonesian manga market on Jan 13, 2010 came like a huge relief for yours truly. This has been my first manga release and to be honest, I wasn't quite sure what to expect. Admittedly, one of the best things about having your work out in the open (ie. displayed in the bookstores right next to Masashi Asaki/Yuma Ando's Kunimitsu and Jun Mochizuki's Pandora Hearts! >,<) is the feedback you can expect from readers -- both the negative and the positive. These precious opinions are exactly what a manga artist needs in the quest for producing better and greater things. * A majority of readers consider Helix their favourite character because he's "cool" and "gentlemanly"